The village of Kapetaniana, Asterousia. 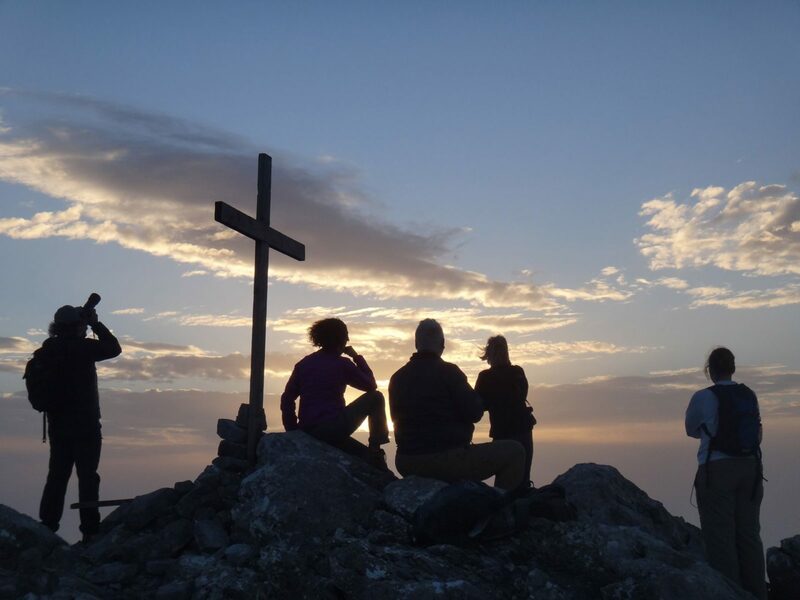 Hikers on the peak of Mount Kofinas. Reclaiming the village. Work began on building Thalori in 2001. Below Thalori is the village of Agios Ioannis. Connected to Kapetaniana by an 8 km dirt road that spears downwards in a series of hair-raising bends, it’s a journey not for the faint-hearted. This is where Marcos keeps his boat, and it’s the set-off point for the remarkable cruises he offers along this wild shore. For adventurous types, in the summer he’ll even take you to your own beach (with cave) for the night, and pick you up the next day. Kapetaniana – faith and freedom. With a resident population today of barely 100, the village of Kapetaniana was founded around a monastery which dates back to the early period of the Venetian era. Today the monastery’s tiny church is the only building that survives. Built around 1400, the Church of Panagia contains some of the most important examples of Byzantine art in Greece, painted by settlers from Constantinople. 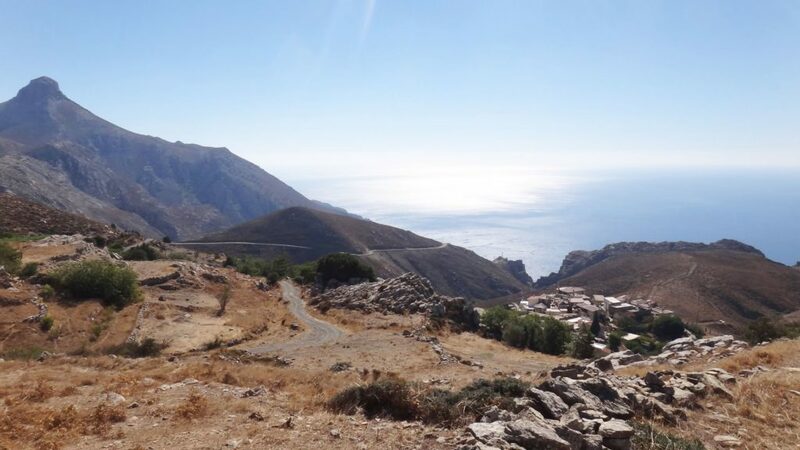 During Crete’s occupation by the Ottomans the monastery was abandoned in 1744, but following the Daskalogiannis Revolt some 30 years later, the village once again began to grow, with migrants from the Sfakia region making the area their new home. 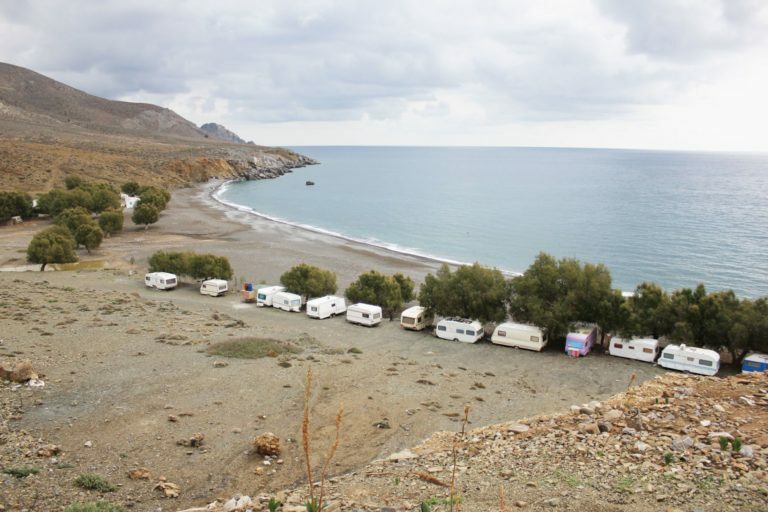 A bastion of resistance, it was called ‘Mikra Sfakia’ before being renamed Kapetaniana (the place of the captains) in the 19th century to honour the inhabitants’ heroic actions against the Turks. No shoreline in Greece is without its legends, ancient and modern – stirring tales of heroism and adventure, but for those interested in Crete’s WWII story, this particular shore has its own special place on history’s page. Following the German invasion in May 1941, this Asterousia coast played a vital role in the island’s resistance. Between late 1941 and 1944, scores of secret evacuations took place here – of allied soldiers left behind after the Battle of Crete, and of Cretan resistance leaders high on the Germans’ most-wanted lists. The same operations saw agents from the British Special Operations Executive (SOE), radio operators and commandos, inserted into Crete, along with vital cargos of guns, ammunition and gold – all bound for the Resistance. While there has been development at many of the beaches used, a few remain virtually pristine, linked only to inland villages by shepherds’ paths, and almost as inaccessible as they were in wartime. East of Agios Ioannis, the beaches at Treis Ekklisies and the more distant Tsoutsouros were used for many of the most significant operations, including the landing of the first radio transmitter at Tsoutsouros in October 1941, along with SOE’s first agent Jack Smith-Hughes and radio operator Ralph Stockbridge, who were charged with continuing the rescue of British and Greek soldiers, making contact with the Cretan Resistance, and beginning the transmission of military intelligence from occupied Crete. 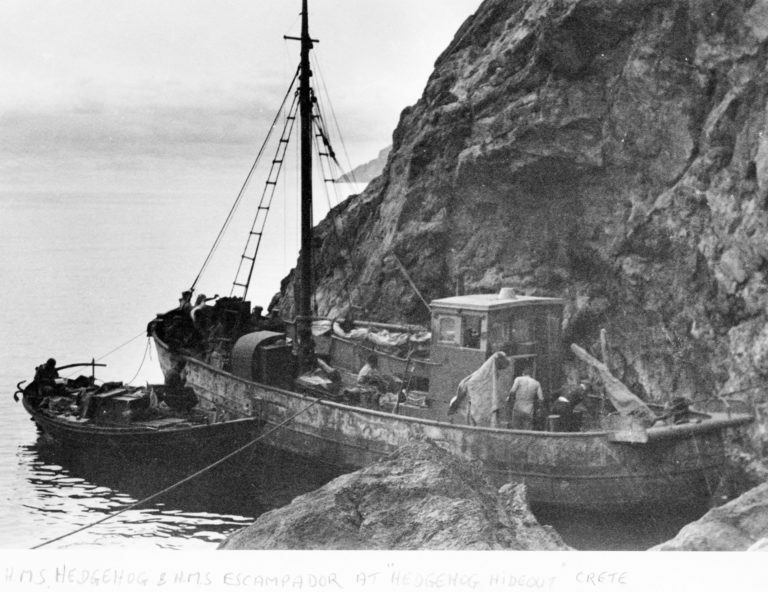 A month later, at Treis Ekklisies, one of the largest single groups of stragglers from the Battle of Crete were taken off – led by the Australian officer James Carstairs. At Tsoutsouros, SOE agent Xan Fielding was landed in January 1942, while further west, two beaches near Lentas have their own story to tell. Known as Trafoulas and Trypiti, in WWII their code names were Tin and Zinc respectively, and it was at Tin that in April 1942, SOE operative Tom Dunbabin set foot on the island. Weeks later, the first special operations unit was inserted at Zinc to carry out sabotage attacks on German airfields. Trypiti beach, near Lentas. It was codenamed Zinc by the allies during WWII. The same boat picked up dozens more soldiers on-the-run – including a 20-year-old Australian aboriginal infantryman called Reg Saunders. 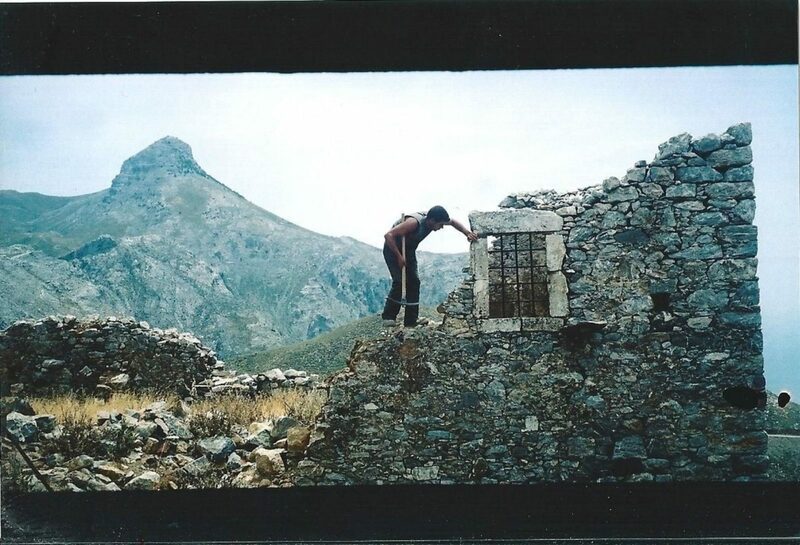 A month later, the British officer who would become SOE’s most famous agent on Crete, Patrick Leigh Fermor, landed at Zinc, to begin his first tour of duty. These are just a few of the operations undertaken along this coast; many more took place throughout the occupation. All the while, it was the Cretan Resistance who supported the British agents ashore, and who guided the soldiers to the evacuation points. It was on these beaches, in the dead of night, that deep, lifelong friendships, between andarte and agent began, and it was here that poignant farewells were made, between those leaving and those who stayed behind. These stories are what makes visiting the Asterousia beaches an almost sacred journey. Here, beyond this landscape’s rugged beauty, its pristine nature, its gorges and hiking trails, its hawks hanging in the wind – is a place where freedom has been fought for, across the centuries. Thalori Retreat is the perfect place to wonder at the legends that saturate the Asterousia, but you don’t have to be a history buff to appreciate this remarkable destination. Marcos Skordalakis and his wife Popi have built a place to savour authentic Crete. 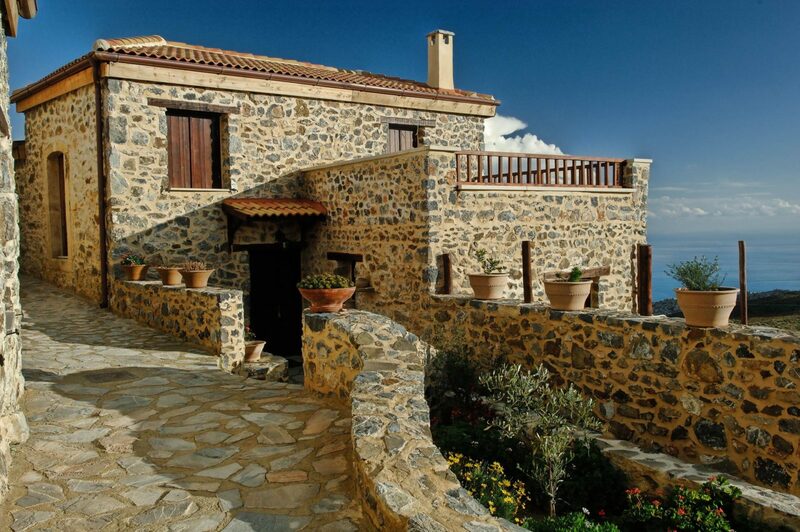 Here is tranquillity in a stunning natural environment, with great traditional Cretan food and fine accommodation. With its farm and stables (home to 14 horses), its meandering mountain paths, Thalori is a delight for families and children – a place for unforgettable adventures and learning nature’s ways. Set between the mountain and the shimmering sea, Thalori reminds us of the essence of Crete – spirituality, generosity and inspiring history. 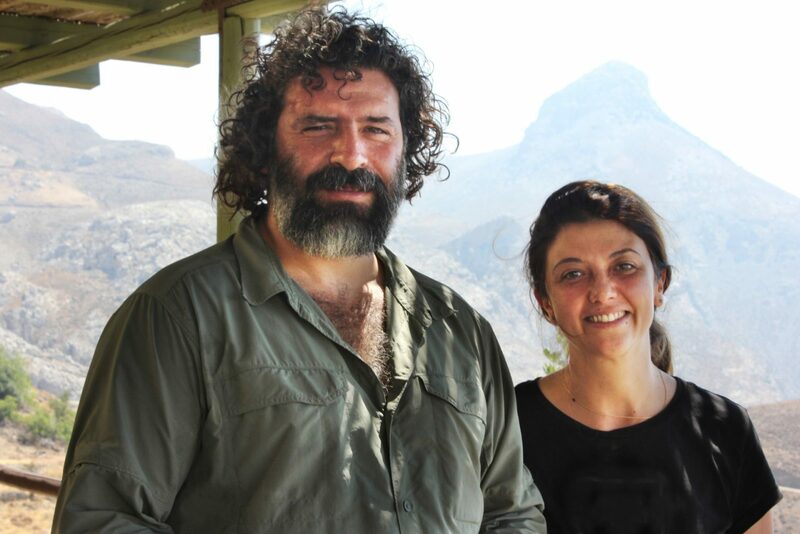 Marcos and Popi Skordalakis – founders of Thalori Retreat. One of the 20 traditional houses that make up Thalori. * With thanks to Marcos and Popi Skordalakis, and Ian Frazer – co-author of ‘On The Run – Escape and Evasion in Occupied Crete’.